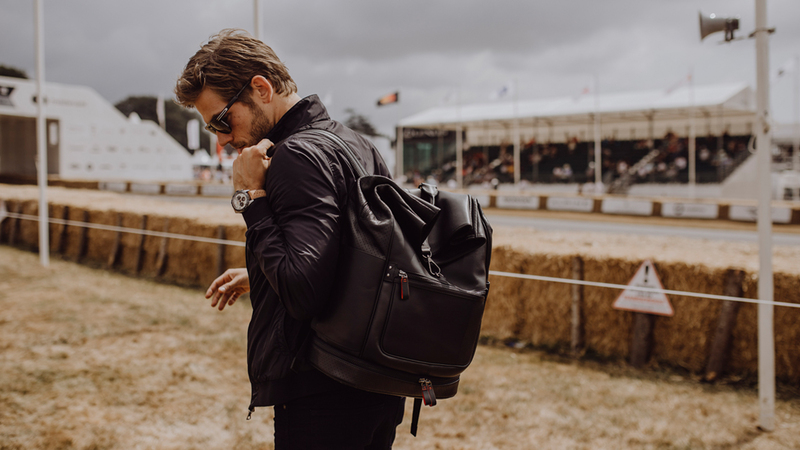 Mixing together perforated leather evoking that used for vintage racing gloves with the stripes that once adorned 1970s racecars is what Montblanc has so deftly pulled off in its new Urban Racing Spirit collection. 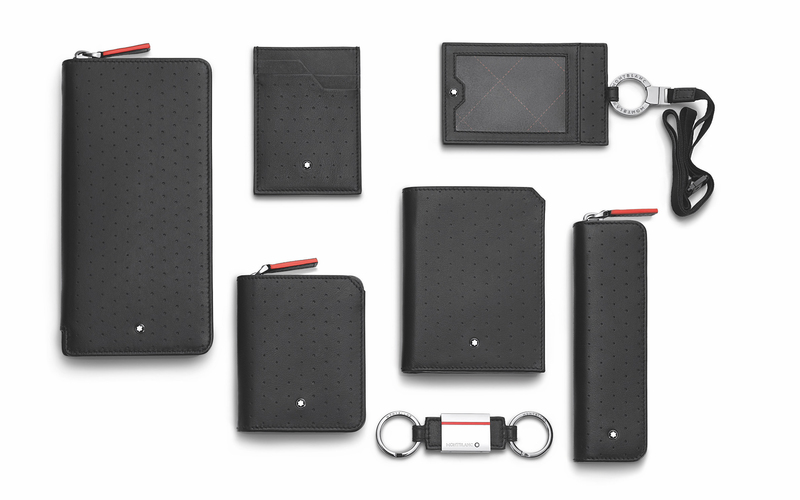 The brand’s latest line of leather goods, now available in Montblanc boutiques worldwide, is defined by black pieces in perforated leather that are contrasted with red stitching and other details (like the special jacquard lining). Pitched as the ideal tools for the urban explorer who has entered into life’s daily race, the collection is made up of a slim document case, a backpack, as well as messenger, envelope and duffle bags. If something bigger is needed, the 48th Bag is also available in the line. The document case boasts of several pockets — its main compartment is complemented by front and rear zipped pockets outside, another zipped pocket inside, two others meant for mobile phones, and three loops on which to clip writing instruments. The backpack, along with the messenger and envelope bags, is aimed at city slickers who need to lug varied stuff around. As such the backpack is offered in either zipped or hook closures, a side pocket meant to carry a water bottle (or energy drink, if preferred), and, at the bottom, a zipped compartment for shoes. The messenger and envelope bags, for their part, straddle the line between business and casual styles while allowing one to carry essentials neatly. Two travel bags address needs encountered on trips. 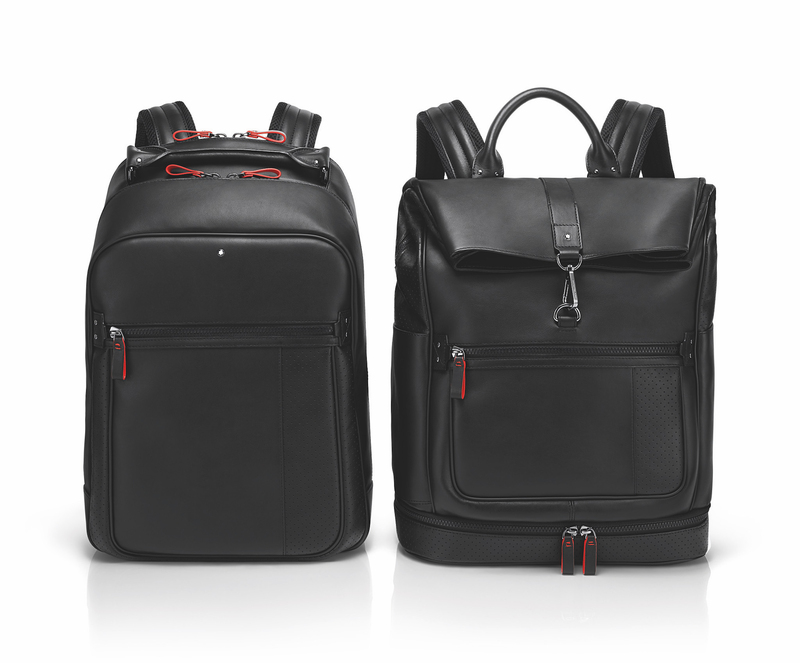 The first is the 48h Bag, which leans toward business use. 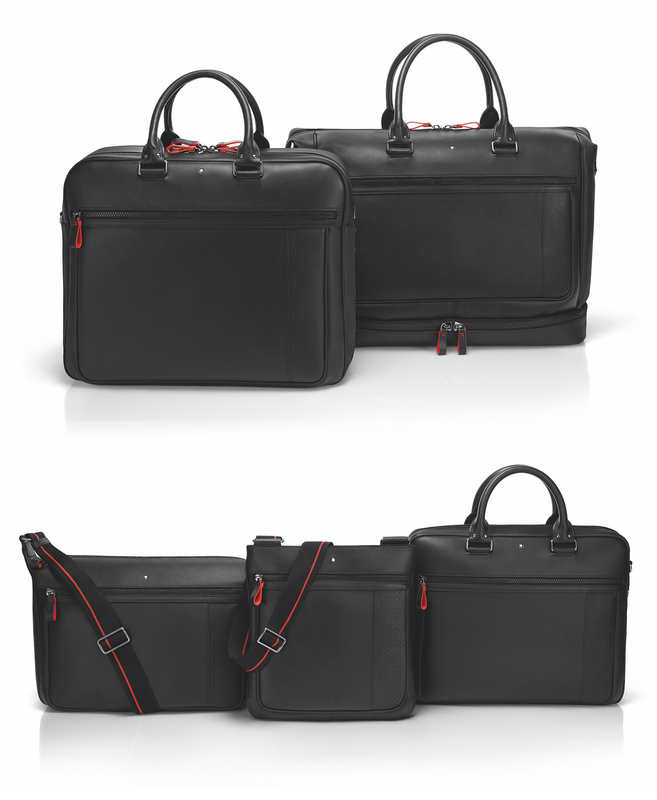 It has compartments for a laptop — padded, of course — a pair of mobile phones, and clothes. Three net pockets should also prove handy for storing personal items. In contrast, the duffle bag is better suited for leisure time. Boasting of ample space, it features a main compartment into which clothes can simply be stuffed, a zipped front pocket and a zipped compartment for shoes at the bottom. Complementing the bags is an assortment of small leather items — all rendered in the same design theme of perforated black leather with red details. These count in the Wallet 6cc, Vertical Wallet 12cc Zip Around, Wallet 6cc Mini with a coin case, Wallet 3cc with coin case, 3cc Pocket Holder with View Carry Me, and the key fob bar. Certainly, not to be forgotten is the collection’s pen pouch. Montblanc, after all, is just as known for its pens and watches as it is for racy leather goods.